With these one hundred poems Alurista created a highly original poetics that upset the literary conventions of the era. 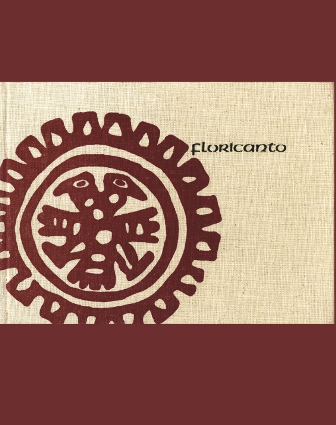 Floricanto en Aztlán was first published in 1971, at the height of the Chicano Movement. In this groundbreaking work Alurista presented a new and essentially Chicano poetic language that is part Spanish and part English, with references to the indigenous languages of Mexico. Using Aztlán, the mythical homeland of the Aztecs, as a unifying metaphor and employing indigenous symbols to describe barrio life, the poet inspired his readers, cultivating pride in their cultural past. In these poems Alurista calls on la raza to celebrate their heritage and to find their political voice. The prints by Judithe Hernández create a dialogue with Alurista’s work by depicting poetic references to ancient cosmology and contemporary oppression. This new edition of Floricanto en Aztlán, Alurista’s first book of poetry, includes a new preface by the poet. Alurista (Alberto Baltazar Urista Heredia) lives and works in National City, California. He holds a PhD in Spanish and Latin American literature from the University of California in San Diego. The author of ten books, his most recent book of poetry is Tunaluna (Aztlán Libre Press, 2010). Judithe Hernández is a graduate of the Otis College of Art and Design. In 2011 her work was featured in a solo show at the National Museum of Mexican Art in Chicago and in three of the Getty’s Pacific Standard Time exhibitions in Los Angeles. She resides in Los Angeles.